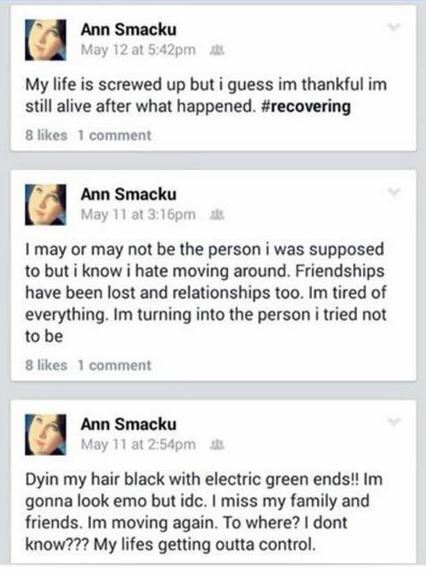 Facebook posts allegedly posted by 16-year-old Ann E. Sagul. Marion County — The body of a young woman that was found under the Ocklawaha River bridge has been identified as Ann E. Sagul, 16. 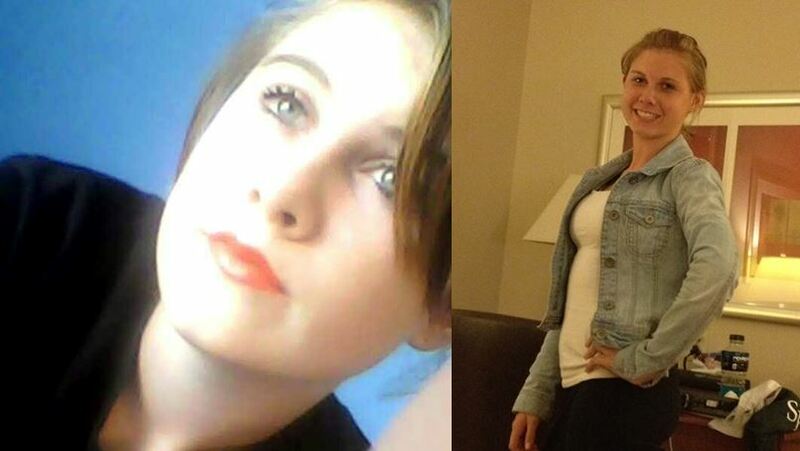 According to authorities, she was a runaway out of Gainesville, Florida, and had been missing since May 13, 2015. Her body was found on May 15. According to the Medical Examiner’s Office, she was identified by dental records. Detectives do not know if the girl fell or jumped from the bridge. Detectives said the investigation is ongoing and no further information would be released at this time. On Thursday afternoon, Ocala Post received an e-mail containing Facebook posts that Ann had allegedly posted on an alternate Facebook page she created. Additionally, Ocala Post received a second Facebook post that allegedly had been posted by a woman who claimed to be Ann’s biological mother. In the post she stated that she lost custody of Ann to the State nearly 14 years ago. Ocala Post chose not to publish that Facebook post until its authenticity could be verified. However, a reader has posted it in the comment section for this article on Ocala Post’s Facebook page. If you have any information about this case, please call the Marion County Sheriff’s Office at 352-732-9111, Crime Stoppers at 352-368-STOP, text a tip to 274637 using keyword 368-STOP, or visit www.ocalacrimestoppers.com. For Crime Stoppers, please reference 15-38 in your tip. Anonymity is guaranteed.